Morgan Haines work is influenced by motifs and patterns of an iconic and historic nature. Living, travelling, and working as a chef in New Zealand and abroad, Morgan has developed an interest in the relevance of the old and the decadent. 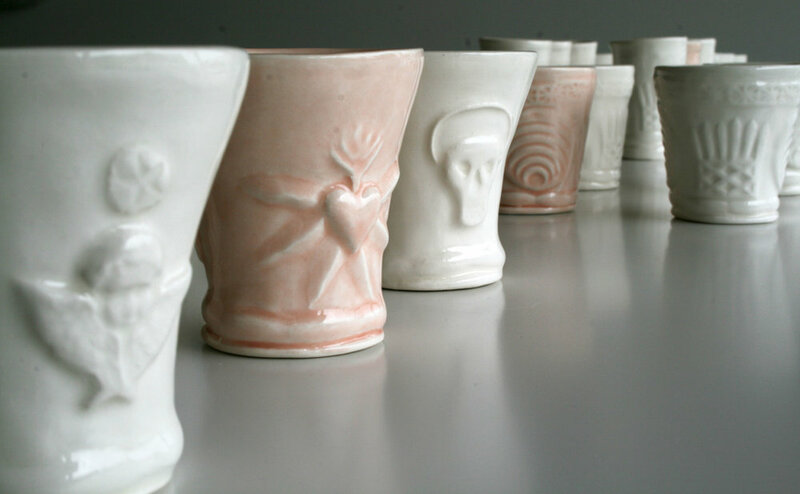 She combines this passion with her culinary knowledge, to create a range of slip cast domestic ware. Delicate pastel colours combined with religious iconography and 1940’s wallpaper give her work gorgeous texture and a sense of humour.